During design school, I was using all kinds of drafting pens, pencils and markers, some were just ok, and I found most of the ones that worked the best were all made in Germany. So while working downtown at the World Trade Center and being around suites, I got to see nice looking pens that they proudly flaunted. I eventually stumbled across a classically designed pen line made by the Montblanc brand from Germany called the Meisterstück Collection and noticed the craftsmanship, attention to detail and steep price tag. I was interested to see why they were so pricey for just a writing implement. To my surprise, I found the Meisterstück Classique Ballpoint Pen to fit my hand perfectly. It was well balanced, not to lightweight and not to heavy, it was just perfect, which got me even more interested. I really wanted to purchase one, but was not a fan of gold; it was not my style. I ended up falling in love with the up-market pen, but I wanted it to fit my style of black & chrome like a vintage motorcycle. So I called Montblanc and made the request for the classic Meisterstück Collection to be produced in either sterling silver or platinum for a more modern less flashy taste level. In time, Montblanc conceded and went with my concept and introduced the Meisterstück Platinum Collection, which turned out to be a big hit with collectors of fine pens. By the way, I love the so called star logo on the top of their pens, but it is not really a star at all. The ‘star’ actually pays homage to the snow capped highest mountain in the Alps, Western Europe and the European Union, Mont Blanc known as the “White Mountain,” which is now their unforgettable trademark logo. For someone who loves to ski and loves the outdoors, I thought that was pretty inventive graphically. 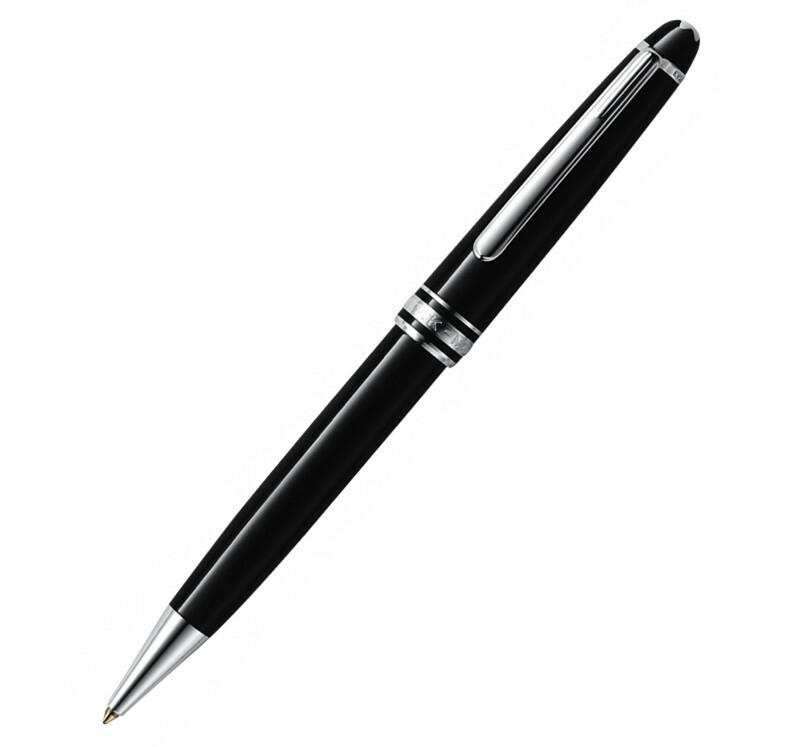 I find this Montblanc Meisterstück Platinum Classique Ballpoint Pen to be an inspiration in most my concepts and designs. Founded by the stationer Claus-Johannes Voss, the banker Alfred Nehemias and the engineer August Eberstein in 1908, the company began as the Simplo Filler Pen company producing up-market pens in the Schanzen district of Hamburg Germany. Their first model was the Rouge et Noir in 1909 followed in 1910 by the pen that was later to give the company its new name, Montblanc. The Meisterstück name (English: “Masterpiece,” the name used for export) was used for the first time in 1924, for the top lines of fountain pens.